1. What does the terms corporate housing or corporate apartment mean? Over the years, corporate housing, temporary housing, furnished suites and corporate apartments are all terms that have come to refer to the same thing. When traveling for a week or longer, corporate housing offers a better alternative to individuals or families who desire accommodations and amenities similar to those found in a home environment. 2. 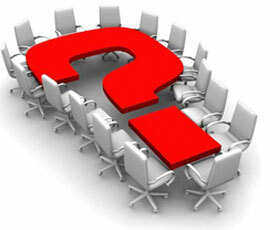 What does Corporate-Apartments.ro offer that a hotel can not? Unlike hotels, Corporate Apartments are ideally suited for longer stays, and feature amenities not found in hotels including a fully-equipped kitchen as well as washer and dryer within most units. 3. What does Corporate Apartments Bucharest offer that an extended-stay hotel can not? Many extended hotels offer studio-style apartments with scaled-down kitchenettes. Corporate Apartments Bucharest offers spacious one and two bedroom furnished apartments with separate living, dining and sleeping areas, which are better suited to serve the needs of busy professionals and families alike. 4. What is a corporate apartment like? Every corporate apartment comes equipped with everything you might need for a comfortable stay. Each apartment is stylishly decorated with high-quality furniture and accessories, full-size appliances, home electronics, house wares and linens. All utilities (except long distance calls) are included for your convenience. 5. Is there a limit imposed on how long I can stay in my apartment ? With Corporate Apartments Bucharest, you decide how long you stay. If you want to extend your initial contracted term, you just have to notify us and we will allow you to stay as long as you need. The only thing needed is to respect our Cancellation and Early Departure Prenotice Policy, and also our Extension Prenotice Policy. 6. How much should I expect to budget for a corporate apartment? Within the industry, corporate apartments in Bucharest range from EUR 45 to EUR 100 per night. Corporate Apartments Bucharest does offer special rates on various apartments depending on the length of stay and location you require. 7. Does Corporate Apartments Bucharest offer apartments for short term rental ? Definitely, our published corporate apartment rates cover stays as short as 1 week. Based on seasonal availability, we may be able to accommodate shorter stays at slightly higher daily rate. 8. How many people will an apartment hold? Each property is designed to accommodate a specific number of individuals, because we want that every client to have a maximum degree of comfort during his/her stay. Two individuals are permitted in a one-bedroom; three individuals in a two-bedroom and no more than four individuals are permitted to reside within a three-bedroom apartment home real estate. 9. How do I get in from the airport? You can give us your flight details at the reservation stage and we will organize a car to pick you up and charge the cost to your account. Alternatively, you can take a taxi. The journey from Otopeni or Baneasa airports should take less than half an hour. There is also a direct bus route (783) from the airports to Downtown. 10. What are the financial savings? Serviced apartments can offer all an array of services and facilities at rates significantly below a comparable hotel room where the extra facilities increase the tariff. Paradoxically, most of the "star winning" hotel facilities go unused (but not unpaid for) by the vast majority of their guests. 11. How do I make a reservation? How far in advance do I need to reserve? Contact us by telephone/e-mail with what you require and when you require it. From that point, our staff will assist you in making your reservation as speedy and efficient as possible. To be able to help you better and more efficient please create your own reservation request by completing our request form. 12. Do you require a deposit? In order to guarantee your apartment, we usually require a deposit. This can be taken cash, from a credit card or sent by bank transfer. Our staff will advise on the easiest way to do this as well as providing details on when and how this deposit is refunded. 13. What is the V.A.T? 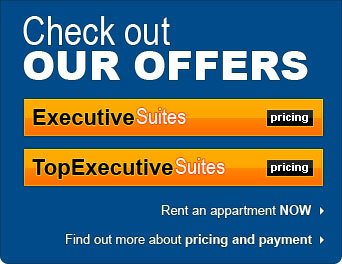 Value Added Tax is applicable to some of our apartment rates and services. VAT may be reclaimed in some circumstances, so please ask for information when you book. 14. Can you arrange theatre tickets, airport pickup and grocery shopping? Yes, our team is there to help you, from dinner reservations to a babysitter for the children and from car rental to grocery shopping, just as you would expect at a hotel. 15. Do you offer a corporate rate? Yes, we have a list of corporate clients who we work with on a regular basis. If you represent a company requiring a number of apartments or corporate housing on a regular basis and you wish to discuss a corporate rate, please contact us at office@corporate-apartments.ro or create a request.